I love when herbs “crop” up in unusual places! Dill may have been Herb of the Year in 2010 but it is very much out and about in 2011. 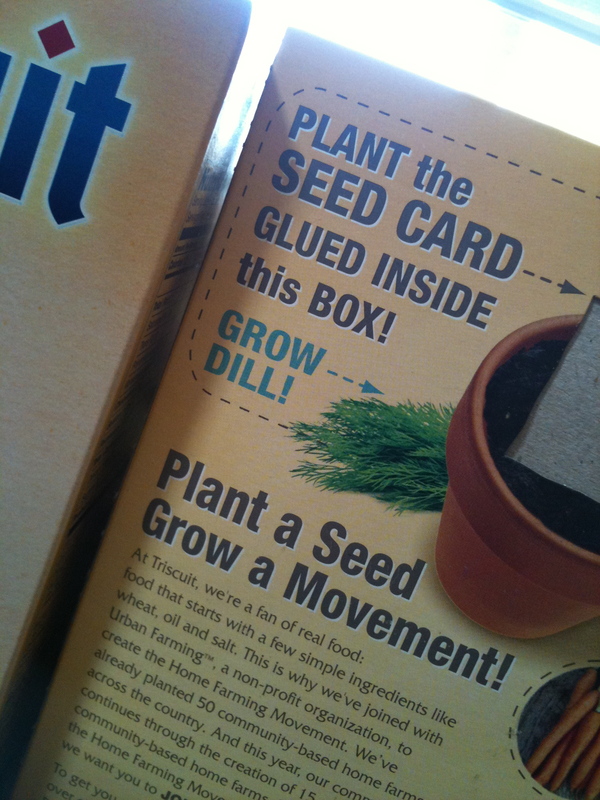 I got seeds with my box of Triscuits today, actually the seeds are part of the box! Yea Dill! Yea Herbs! Yea Triscuits! Go to Triscuit’s facebook page and give ’em a “like” and you can get a one time downloadable $1.00 off Triscuit coupon. I did! Worked great -Thanks Nabisco. Next: Next post: Have you seen the new Herbs stamps?